Halloween is the one time of the year where you can really stretch the bounds of imagination and create a look that is all your own! I have a series of videos on the mytownagreatplacetolive.com website to teach you how to transform into a pumpkin, a skeleton, an Egyptian queen and so much more! 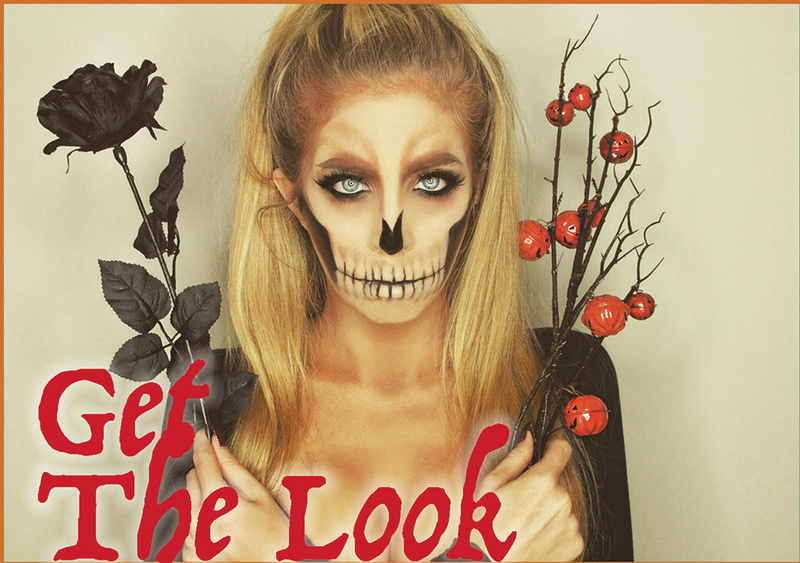 Below I want to explain how easy and inexpensive it is to do one of my favorite looks, a skeleton. All you need is black eyeliner, light shade foundation and some neutral tone shadows. Start with a light foundation to make your skin look more bone-like. Then use a light taupe shadow and outline the full look. Drawing along your eye sockets to make a hallowed out look and sculpting out your cheeks and jaw bone and drawing teeth with long roots. Next fill in your eye socket area with a light brown shadow to add depth and shadows. Fill in your cheekbone outline with a dark black eyeliner or eye shadow and blend that going down to your jawline. You want the area under your cheekbones to look nonexistent so really darken that area. You also want to make a black outline on the tip of your nose going up to make it looks like you have a hallowed out nose! For your teeth you can use a white shadow or just use the light foundation to make them look lighter and then blend a dark brown shadow on the outer edges to give it more shadow and depth. Add dark brown shadow lines to create a hallowed out look! Although this is a brief outline you can always check out my videos on the website!